You really can't go wrong with a set of custom etched wine glasses! 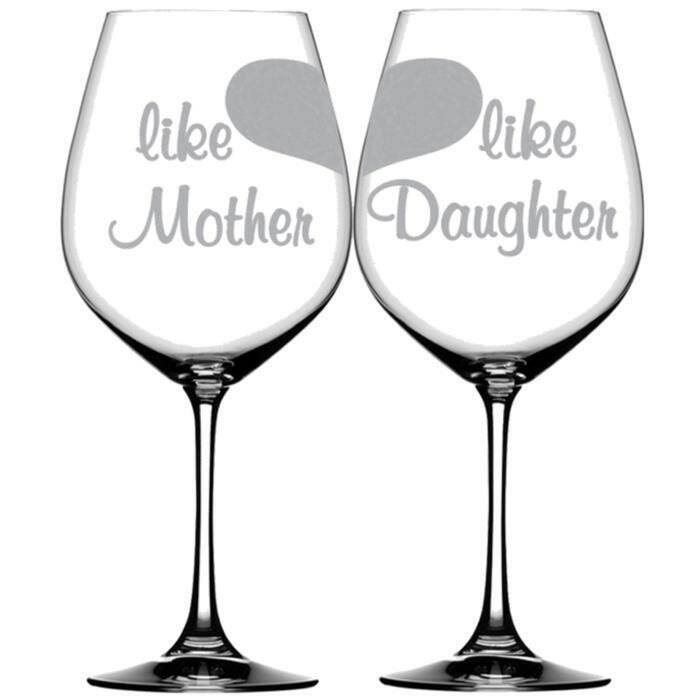 These split heart wine glasses feature the text "like mother, like daughter" and will make a sweet and sentimental gift for many occasions between a mom and her adult daughter. 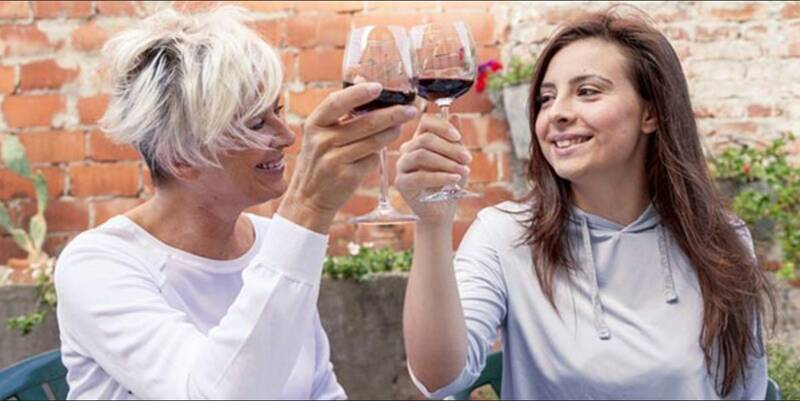 From a mother of the bride gift, to a daughter's birthday or a gift to mom from daughter for Mother’s Day these custom wine glasses are a sophisticated way to remind both parties of the special bond they share! Each of the 2 wine glasses in this set is etched with half of a heart; when you put them together they make a whole! In addition to being a sweet one-of-a-kind keepsake, they can actually be used everyday for drinking wine or other drinks! Custom wine glasses are a wonderfully personal and practical gift that will make a huge impression and create lasting memories! Order yours today! 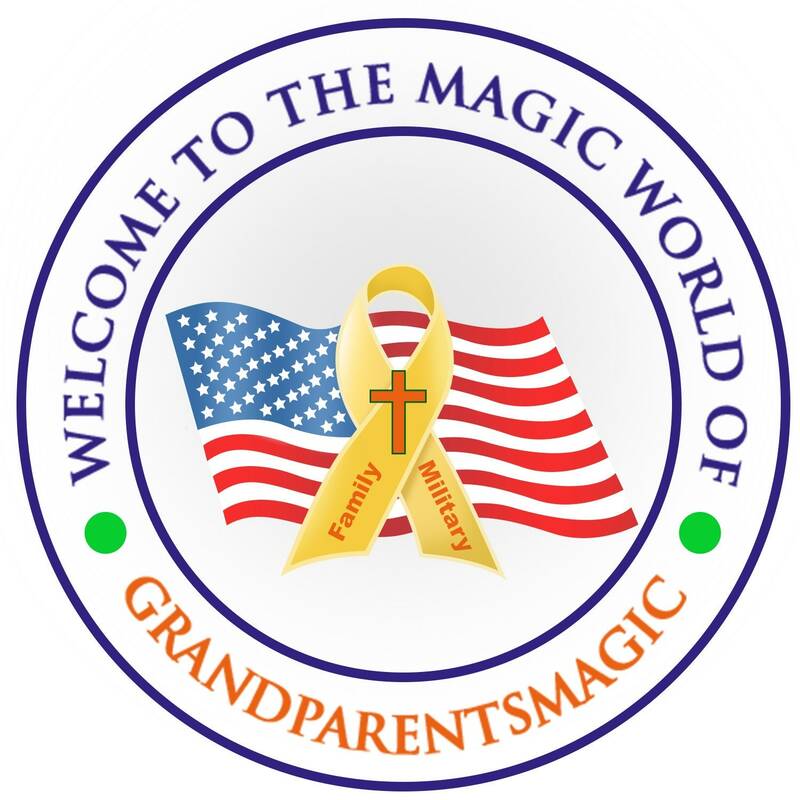 • Made with LOVE in our USA shop! • Sentimental and useful gift!